Sophia Loren on Hydra in 1956 during shooting for the film "Boy on a Dolphin"
Wherever Greek tourism goes in the future, there will always be a special place for the pioneering stars who first brought international glamor to Greece. 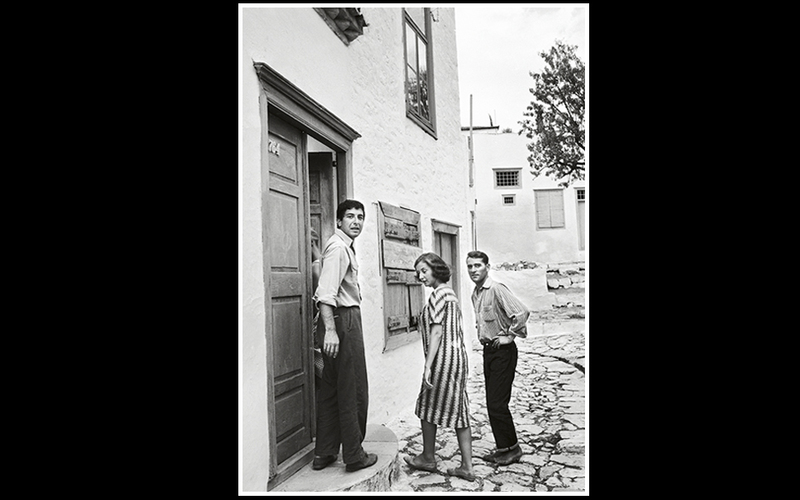 In the 1950s, the island of Hydra was a little-known rock in the Aegean. Most of its inhabitants made a living through fishing, and the old houses in the Chora could be bought for a song. In the 1960s, Mykonos was likewise still untouched by mass tourism. The entire island had a total of nine taxis and two buses. Passenger ships would not pull in to the harbor, but anchor at sea, with travelers ferried to the island via launches. It was this Greece – one of authenticity, beauty and hospitality – that greeted Sophia Loren, Elizabeth Taylor, Jackie Kennedy and dozens of other stars who helped spark the modern-day ‘miracle’ of Greek tourism. Below are some iconic images of the era, and the stories behind then. 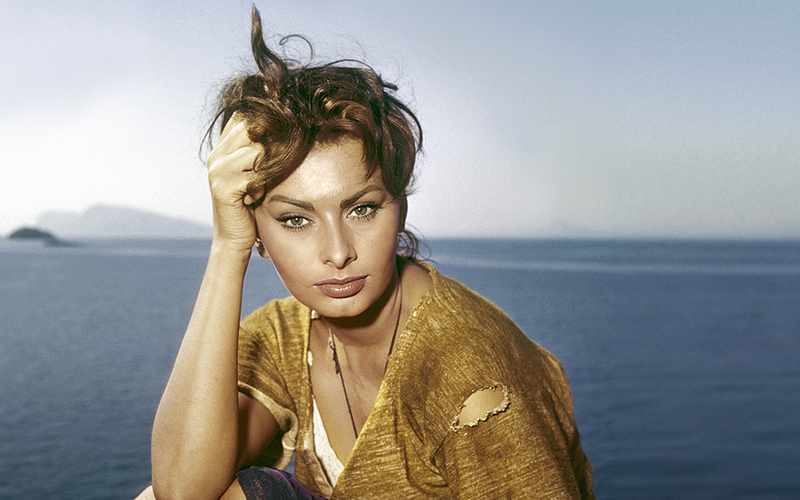 Sophia Loren arrives on the island to film her first film in English – and the first Hollywood production filmed in Greece. She plays Phaedra, the daughter of a sponge diver and causes a stir among the locals when – in one of the film’s more revealing scenes – she emerges from the sea in a wet dress that leaves little to the imagination. The film Boy on a Dolphin hits the silver screen in 1957 and changes not on Loren’s fate, but that of the island, which from the following summer begins to receive thousands of tourists. Melina Mercouri provided the spark. Jackie Kennedy had seen her the year before in Jules Dassin’s Never On a Sunday and, impressed by Ilya and enchanted by Greece, decided to visit the country for the first time. 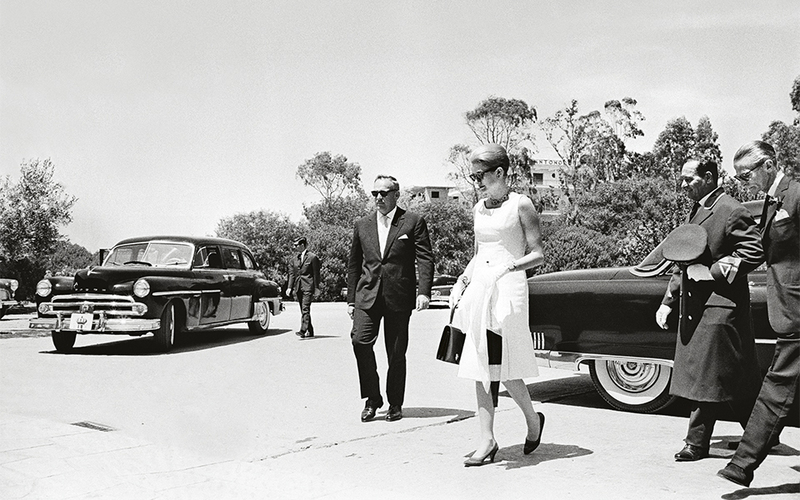 While the trip was an unofficial one, the security measures taken were unprecedented and she was received by the then prime minister Konstantinos Karamanlis and his wife Amalia. The former first lady stayed in the country home of shipowner Markos Nomikos in Kavouri on the southern coast of Attica. During her trip she was given a tour of the Acropolis and the Temple of Poseidon in Sounion and watched a rehearsal performance by the National Theater in the ancient theater of Epidauros. During a cruise with the “Northwind”, Nomikos’ 123 ft yacht, she visited Mykonos which, from then onwards, became known as a VIP destination. Among the welcoming committee on the island was Petros, the legendary Mykonian pelican. 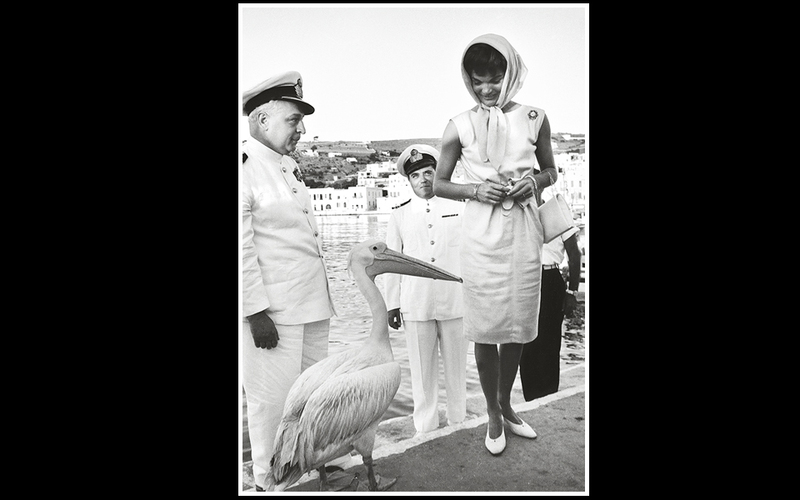 A few years later in 1968, when Jackie discovered that Petros had been killed, she sent the island a female pelican, Eirini. Prince Rainier of Monaco and his wife Grace Kelly have just arrived in Greece to attend the wedding of Princess Sophia with the King of Spain, Juan Carlos. It is not their first visit to the country, having often cruised in the Greek seas as guests of Aristotle Onassis aboard the legendary “Christina”, where they also had their wedding reception in 1956. Six years on from then and the American star – clearly less than enthusiastic – has not yet become accustomed to her new life away from Hollywood and the silver screen that she so loves. She feels (according to her biographers) trapped in a gilded cage. 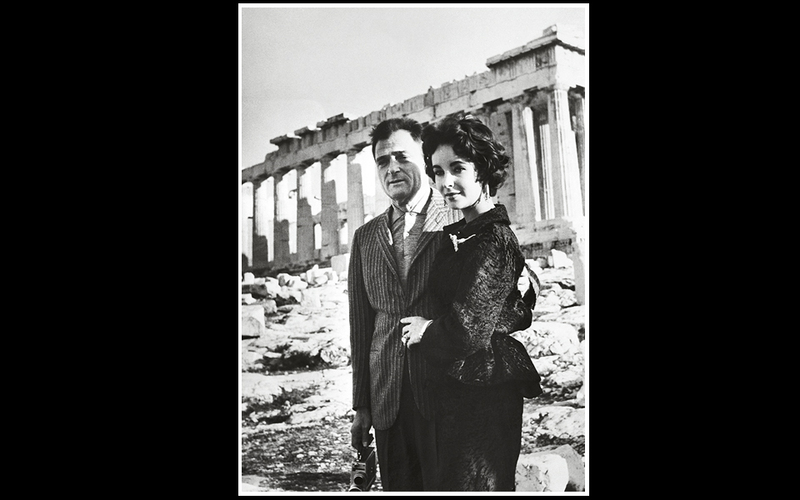 The 26-year-old Elizabeth Taylor comes to Greece for the first time with her third husband, the producer Mike Todd. The couple is pictured at the Acropolis and stays up until late, enjoying themselves at a party that is thrown for them at the hotel Grande Bretagne. All of Athens’ high society is there. In March of the same year, Todd is killed in a plane crash when his private plane (called ‘Lucky Liz’) goes down. Taylor later returned to Greece in the summer of 1960 with her fourth husband, the singer Eddie Fisher. Photographs of them riding donkeys in Aegina travel around the world. Leonard Cohen is pictured on the step of the house that he had purchased only the summer before (with 1,500 dollars inherited from his grandmother) and which would become his sanctuary right up until the end of his life. He came to Greece by chance. He was walking in London one rainy day when he saw a branch of the National Bank of Greece and went in. “What is the weather like in your country?” he asked the teller. “It’s spring,” was the answer. Two days later the singer-songwriter left for Greece and the rest is history.. In a letter to his mother from the time, he expressed his love for Hydra and his new home..